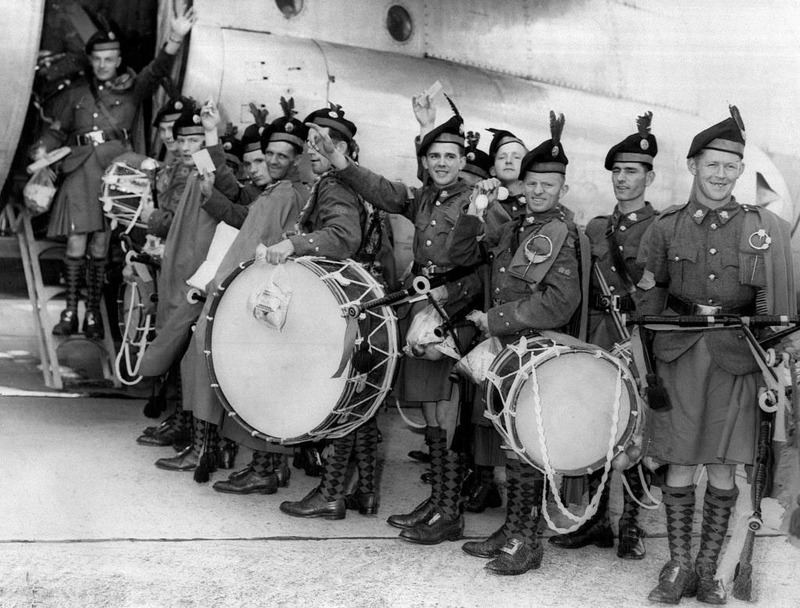 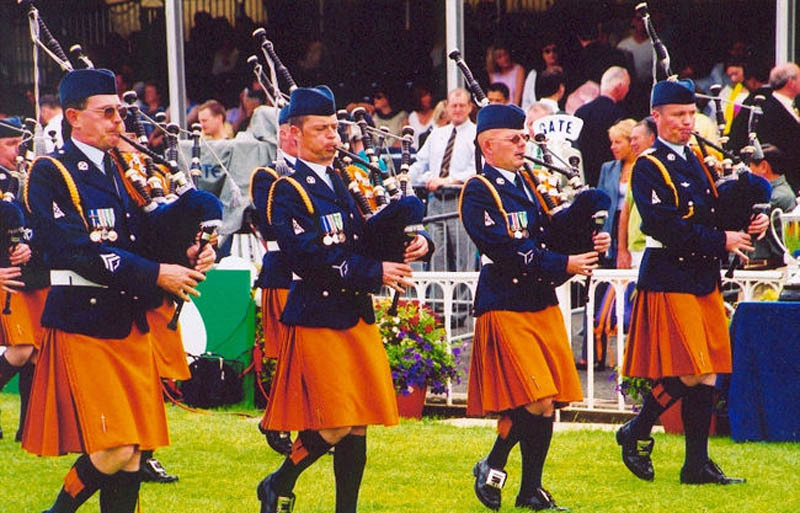 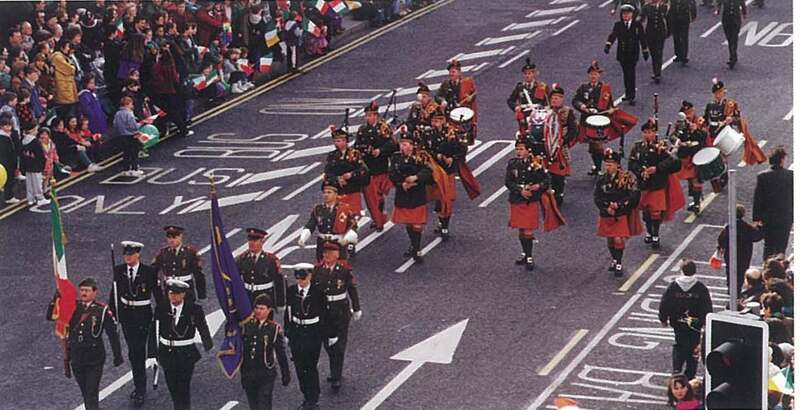 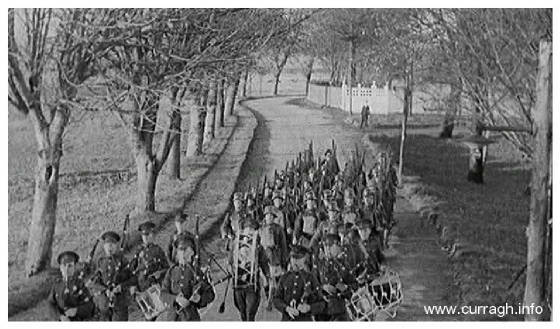 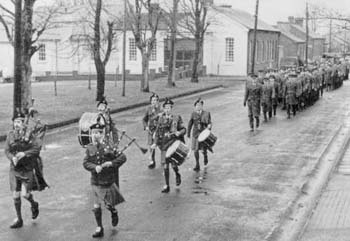 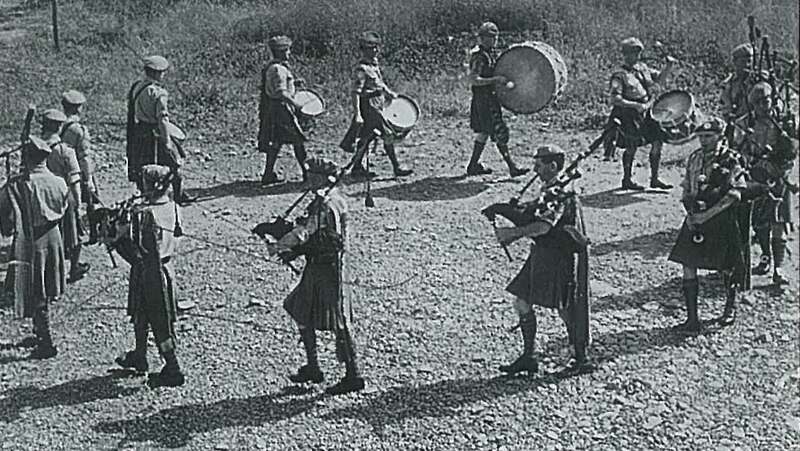 Above, from 1939 the Defence Force Pipe Band with a mix of two droned Irish Warpipes and three droned highland pipes. 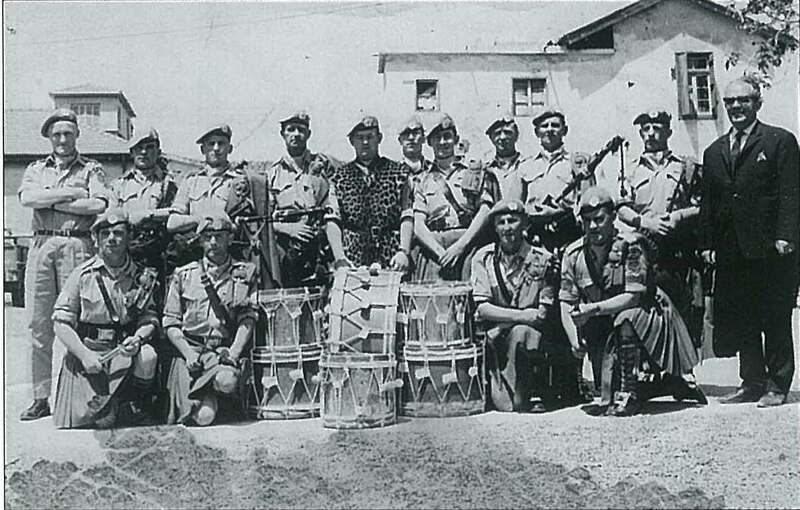 Off to the Congo for UN Duty, mid 1960's. 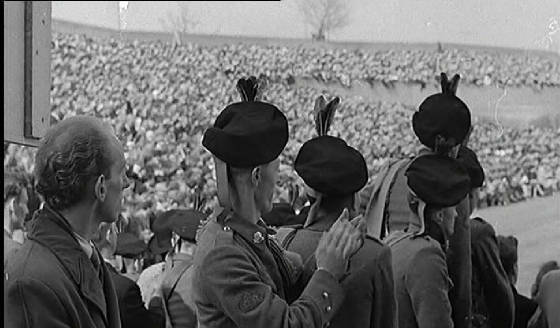 From 1959, pipers cheer as Ireland beats France. 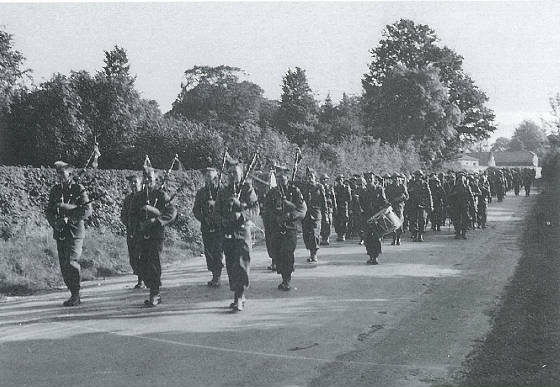 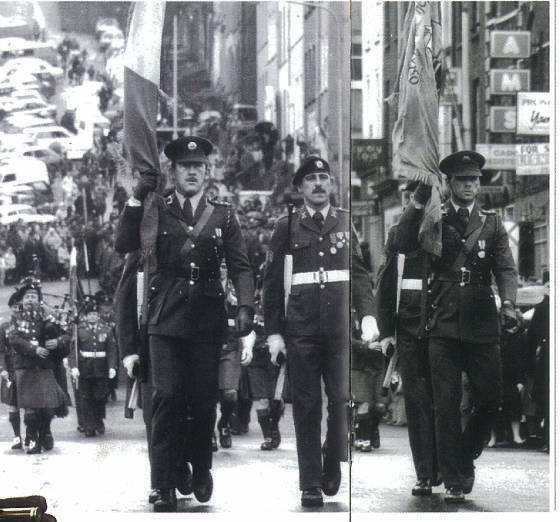 A few guys from the Air Corp on the march. 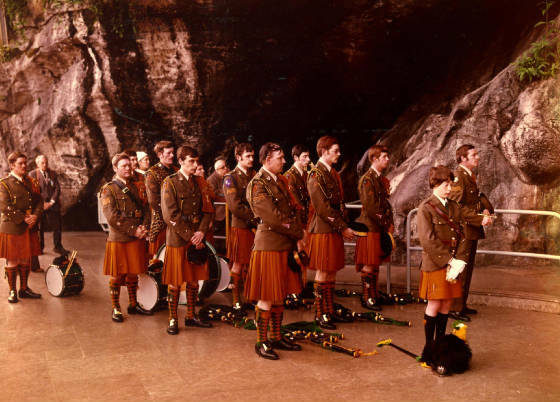 Above and below, UN duty, Cypress 1960's. 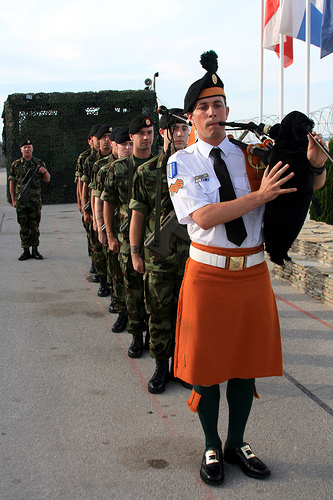 The ceremony to award medals for UN service in Kosovo. 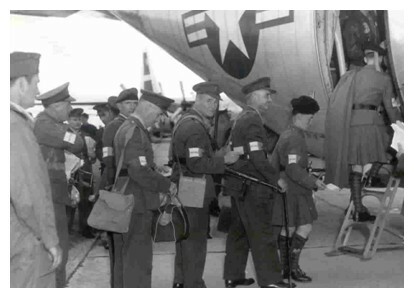 The two photos above are from the annual Military Pilgrimage to Lourdes. 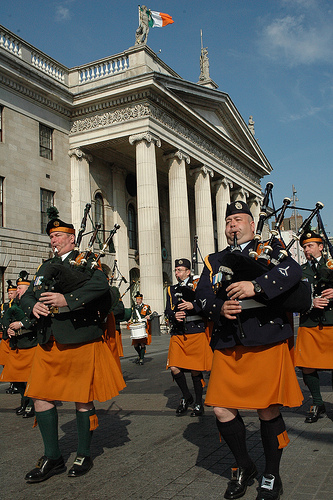 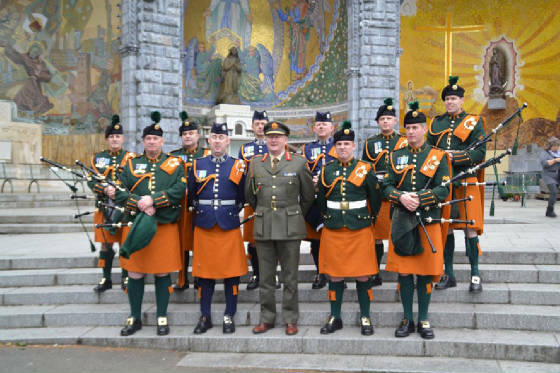 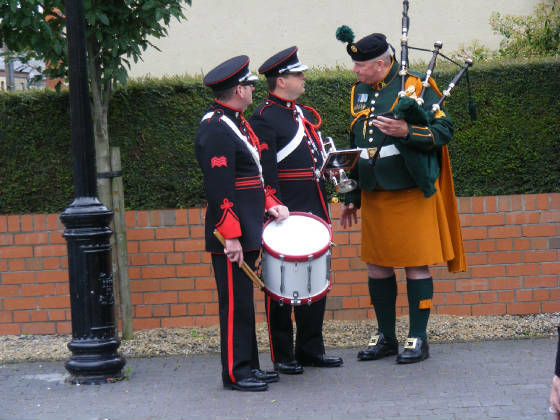 Below, piper Anto Byrne speaks to a couple of members of the army's brass band.